DJI is proud to announce the Spreading Wings S900 drone, our latest aerial system for the professional creator. The S900 is a distillation of our latest technology into a lightweight, easy to carry platform. Its strong, compact frame provides exceptional stability in most flight conditions, and its new power distribution board improves efficiency and safety. 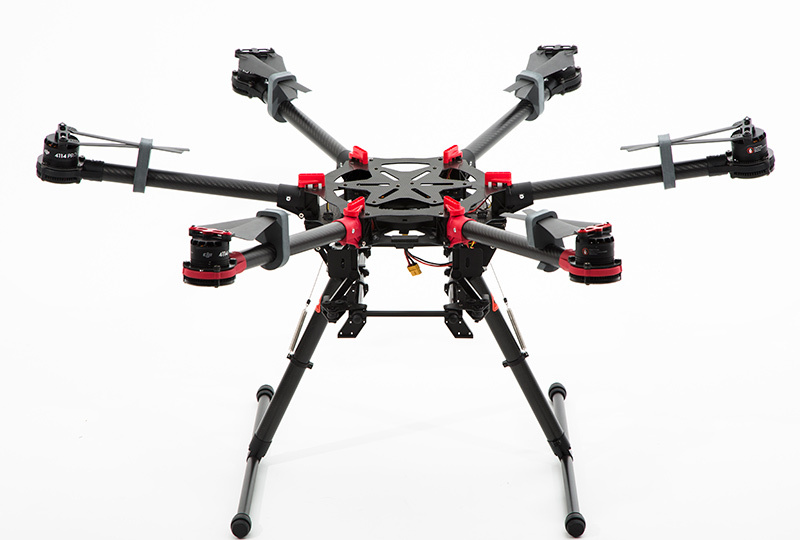 Six of our most powerful motors are attached to the carbon fiber arms, allowing a takeoff weight of up to 8.2kg. When transporting, the arms fold down and the 15-inch propellers fold in, reducing space and making it easy to take anywhere.